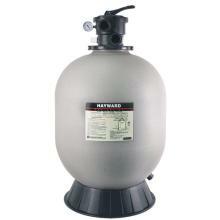 Hayward offers a full line of the very latest in pool filter technology ensuring your pool water is clear and clean. Our filters' simple operation and minimum maintenance lead the industry in performance, value and dependability. 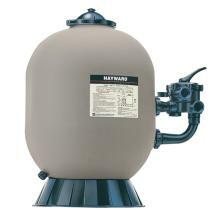 All Hayward filters are engineered and designed to deliver reliable, all-weather performance with minimal care on today's most demanding installations. 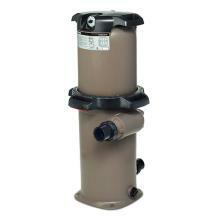 SwimClear Single Element Cartridge Filter, 100 sq. ft.
SwimClear Single Element Cartridge Filter, 150 sq. ft.
SwimClear Multi-Element Cartridge Filter, 325 sq. ft.
SwimClear cartridge filters provide the most energy efficient flow and save up to 2,500 gallons of water per year by eliminating the need to backwash. SwimClear filters are 325 sq. ft. of heavy duty dirt holding capacity and extra-long filter cycle. SwimClear Multi-Element Cartridge Filter, 425 sq. ft.
SwimClear cartridge filters provide the most energy efficient flow and save up to 2,500 gallons of water per year by eliminating the need to backwash. SwimClear filters are 425 sq. ft. of heavy duty dirt holding capacity and extra-long filter cycle. SwimClear Multi-Element Cartridge Filter, 525 sq. ft.
SwimClear cartridge filters provide the most energy efficient flow and save up to 2,500 gallons of water per year by eliminating the need to backwash. 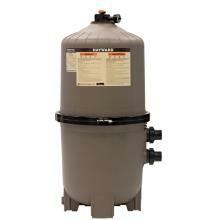 SwimClear filters offer a choice of 525 sq. ft. of heavy duty dirt holding capacity and extra-long filter cycle. SwimClear Multi-Element Cartridge Filter, 725 sq. ft.
SwimClear cartridge filters provide the most energy efficient flow and save up to 2,500 gallons of water per year by eliminating the need to backwash. SwimClear filters offer a choice of 725 sq. ft. of heavy duty dirt holding capacity and extra-long filter cycle. 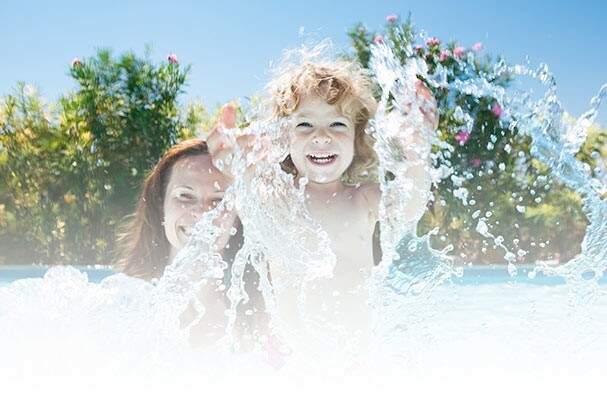 For new pool and aftermarket installations ProSeries filters provide efficient flow, totally balanced backwashing and an advanced self-cleaning under-drain system for the best value in filtration. For both new pool and aftermarket installations ProSeries filters provide efficient flow, totally balanced backwashing and an advanced self-cleaning under-drain system for the best value in filtration.